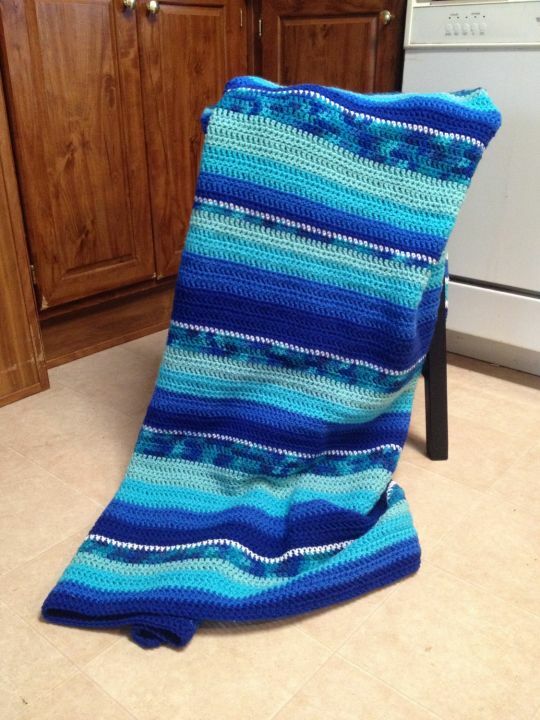 This was a custom order for an afghan in blue. Each of my projects is one of a kind. My patterns are not the same. I use the basic double crochet stitch my grandma showed me and I ran with it. Now it’s time to learn another stitch. This afghan is full size.